Integral Ballet School is a non profit organization providing a dynamic educational experience for ballet students aspiring to dance professionally, or aspiring to enrich their lives with strong ballet training. With a multitude of programs to help every dancer reach her or his personal and professional goal, we are seeking an outstanding instructor who can offer guidance, mentoring and structure. Professional dance experience or degree in Dance Education required. Ideal candidate has experience in Balanchine based technique. Integral Ballet School seeks a ballet teacher for serious-minded ballet students ages 12-18. This position involves teaching classical ballet technique as well as choreographing for the annual student production. 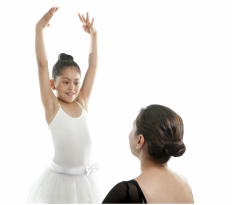 Required skills include a thorough knowledge of classical ballet technique and ballet pedagogy for dance programming for students ranging in age from elementary school through high school. The successful candidate holds a degree in dance and/or equivalent experience and has at least two years of teaching dance. Candidate must instill and uphold traditions such as classroom etiquette, professionalism and dress code, and incorporate dance history, music appreciation, kinesiology, and classical technique in all teaching presentations. Teachers must adhere to Integral's standardized syllabus and must be aware of current dance trends and styles to develop students who are knowledgeable and well-rounded performers and future patrons of the arts.